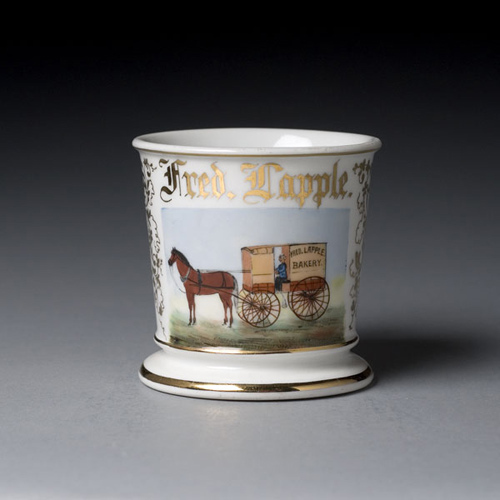 Bakery Occupational Shaving Mug, porcelain with polychrome painted scene of a man in a horse-drawn wagon, with Fred Lapple Bakery on the side. 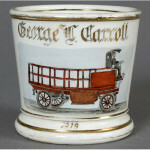 The driver can be seen inside the delivery wagon clutching the reigns of his horse. Gilt name Fred Lapple, unmarked on bottom.